When your carpet has small areas that need repairing, you might be pleased to hear that patching is a simple, economical and reasonably effective method of giving your carpet new life again. 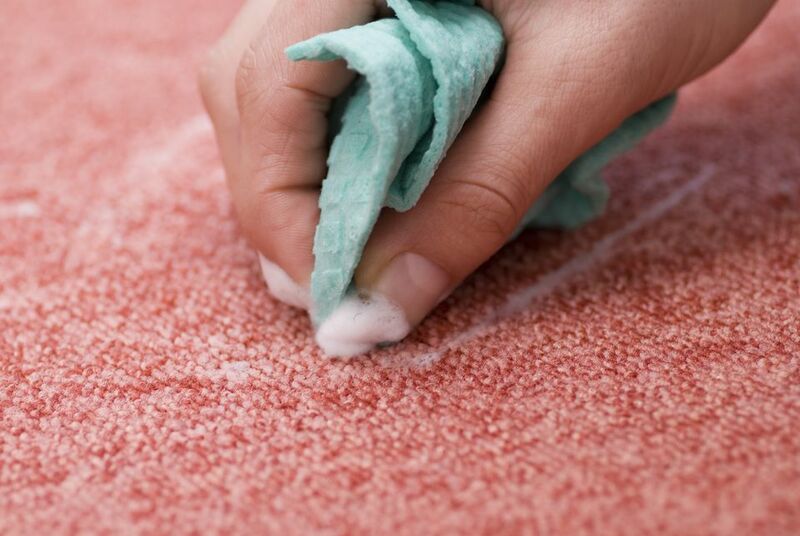 Carpet patching works wonders for small, localized spots that are frayed, worn, scorched or stained beyond repair. It is most effective on areas that are 1 sq. ft. or less in size, and which are not numerous. If you have larger sections and/or numerous sections, you may want to consider re-carpeting the entire room. The reason: patches will reasonably blend in with the rest of the carpeting, but they will never be completely invisible. Carpet patching is a simple system of carefully cutting out the damaged area and replacing it with a patch of donor carpet of the same size. Because the donor area is filled in either with remnant carpet or left unrepaired, carpet patching is considered an overall improvement, but not a perfect fix, for your carpeting as a whole. Remnants left over from the original installation. You may find these laying around in a garage, attic or basement. Remnants that you purchase from a carpet store. For this, you would need to have information about the brand and style of your current carpet in order to match it. Visually matching is not dependable. Use an awl or capped pen to establish a square around the damaged area. Press the instrument into the carpet between the tufts and drag it. This separates the tufts and minimizes the amount of tufts that will get cut. Take the piece that you cut out over to your donor carpet area. Lay the piece on top of the donor carpet. Use the top piece as a template and draw around it with the awl or pen. Similar to the previous step, cut out the donor carpet, making sure that you cut backing without cutting tufts. Carpeting is milled so that its nap runs in one direction. Run your hand across the carpet in several different directions to see which way the carpet nap naturally lies (this does not apply to low pile carpets like berber or trackless). Establish direction on the donor piece as well. Set the donor piece in the correct direction next to the area that you will fix and make sure that it does not move. Carpet tape has adhesive on both top and bottom. Because it is extremely sticky, you only get one chance to stick it on the carpet. If you stick it on the wrong area, it is best to rip off the tape, discard it and begin with a fresh piece. With the protective paper still in place, cut four strips of carpet tape to cover the perimeter of the patch area. If the patch area is 4 sq. in. or less, cut only two strips–one for each side. Remove protective paper from one side of each strip as you apply it to the bottom of the carpet patch area, sticking it to the floor. Place all four strips, then remove the protective paper from the top of all strips. Press down to stick. Using the carpet roller, comb, or even a dry cloth, rub across the carpeting in all directions to blend in the patch with the rest of the carpeting. Pay special attention to the edges. If the donor area is not visible, you can leave it unpatched. A better method is to patch it, using the above method, with a best-match remnant carpet.